30th November 1900 - Virgil Street Board School opens. 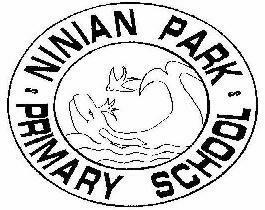 October 1911 - The school changes its name to Ninian Park Council School. The name came from the neighbouring Ninian Park, site of Cardiff City F.C. The ground is named after Ninian Crichton Stuart, son of the Marquis of Bute who played such a huge part in the growth and development of Cardiff. 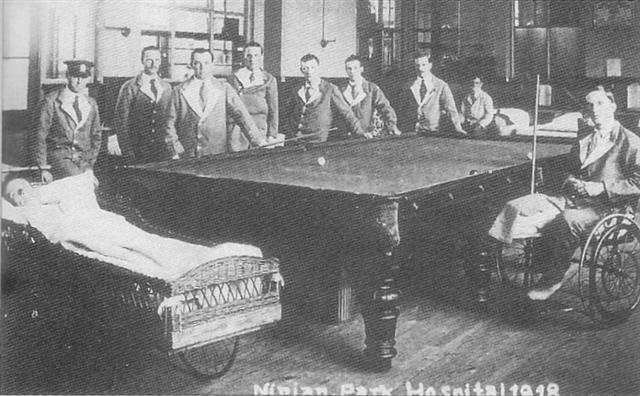 The school building was used as a hospital during World War One. The pupils of Ninian Park transferred to Court Road School, where they attended mornings one week, afternoons the next, alternating with Court Road pupils. 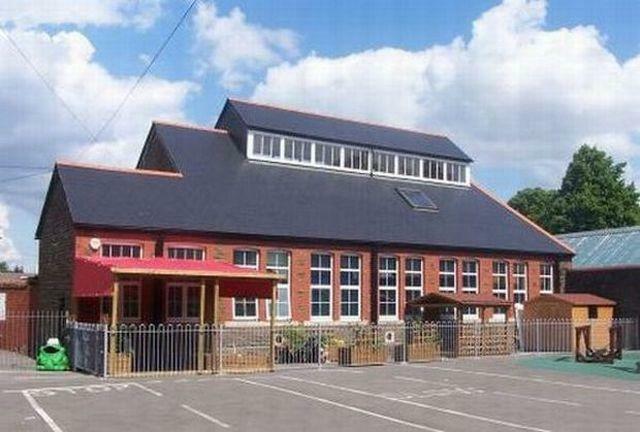 A classroom in Ninian Park School was made into a place of worship for the soldiers. A plaque in memory of the 31 soldiers who died in hospital at Ninian Park School can be found in St. Paul's Church, Paget Street. 4th September 1939 - The school closed until further notice - NATIONAL EMERGENCY - The declaration of War. 11th September 1939 - School reopened. 6th January 1941 - The school was reopened after the Christmas holidays, but children were sent home until further notice owing to damage caused by enemy action to the school and neighbouring houses, for example in Jubilee, Allerton and Monmouth Streets and Stafford Road, where many houses were completely demolished. The children and their families were taken to St Patrick’s Hall until accommodation was found elsewhere. Houses in Compton Street, Maitland Place and Comet Road were also damaged. The Headteacher and staff begged clothing and several car loads were brought down to the school, where they were distributed amongst families from the school. 10th January 1941 - The school was re-opened for mornings only. Ninety-eight children were present out of 269. Only three classrooms were available as workmen were attending to broken windows in the other rooms. 30th May 1941 - The school was opened from 9 a.m. for medical inspection of children being evacuated. The girls department was used as it was thought to be the most suitable. 491 children were passed and told to assemble here at 8:25 a.m. on Saturday. 31st May 1941 - All children to be evacuated were assembled in playgrounds; kit had been inspected by staff. Buses took them at 8:45 to Queen Street station where they left for Treherbert, Glamorgan. Seventy five girls went from this school. In charge were two volunteer teachers, Miss J Evans and Miss S Parry. All the other teachers went as escorts. The group leaders stayed one week in order to assist in Treherbert. The Headteacher wished to place on record the fact that the staff had shown a fine public spirit by working so hard and so efficiently during the week. 9th September 1941 - The school was re-opened. Four children who had been evacuated had returned. 9 children had been evacuated by their parents to other areas. Ninian Park Council School became a boys Secondary School. The Girls Secondary School was at Grange Council School. The Tan Community Centre was the School's woodwork block. 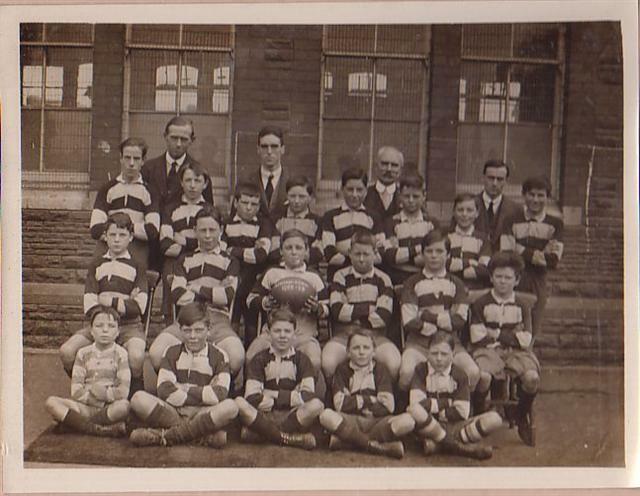 The first Welsh medium class in the County of Glamorgan was opened in the school with eight pupils. A plaque in the School's foyer commerates this. Fitzalan High School was opened as a Secondary School and Ninian Park became a Primary school. The school adopted a new logo, designed by a pupil. The whale on the logo symbolises the Grangetown whale, which is the true story of how a dead whale was washed up in the 1930s on the banks of the river Taff, near the Marl playing fields. People came from far and wide to see it. The Bluebird on the logo is the symbol of Cardiff City F.C., who are nicknamed the Bluebirds. Our school is named after their ground, Ninian Park. The school adopted the slogan 'We all smile in the same language' to emphasise the school's commitment to inclusion and equality. The school celebrated the 50th Anniversary of Welsh Medium education in Cardiff. The school celebrated it's Centenary with a week of special Victorian celebrations. A classroom was turned into a display of the school's history, and many former pupils revisited. The school's TAN Building was refurbished and now houses "Tan-Yr-Eos"; Reception, Year 1 and Year 2 children from 'Ysgol Treganna'. Ninian Park football ground is demolished to make way for housing. A new stadium, the Cardiff City stadium is built opposite the old site. July - Staff and Pupils from Ysgol Treganna leave the TAN building and move into their new school buildings at Sanitorium Road, Cardiff. October - Staff and Pupils from Millbank Primary School in Ely move into the TAN buildings while their school is renovated. We would love to hear from any former pupils. Please click here to email us. If you would like to get in touch with former classmates, click here to go to the Friends Reunited website.